I'm playing at Simon Says today. The Monday challenge is About A Face, and the Wednesday challenge is Spots And Dots. I stamped the girl image, masked it, then stamped the text in Versafine Smoky Grey, then sponged Distress Inks over the whole panel, and stencilled spots and dots over the top. After I removed the mask I added the large text in Versafine Onyx Black. The girl image is a stamp that I made, the background text is STAMPlorations Vignette: It's Your Day and the large text is Winnie & Walter The Big, The Bold and You. 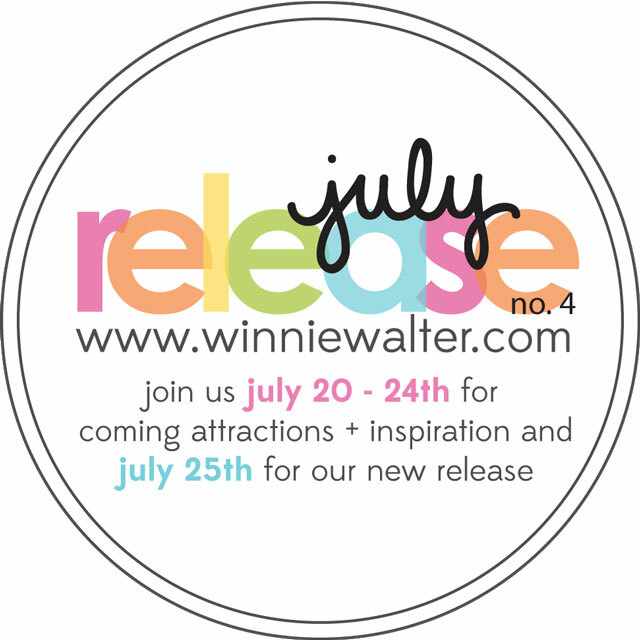 Check out Winnie & Walter's blog - the next release is on its way! ETA: I'm also adding this to Curtain Call - Anything Goes. This card is totally awesome!!! 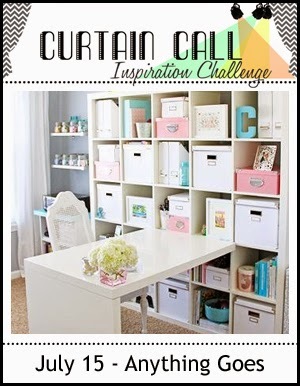 Such a cool design, Shirley - love the layers and colours! I absolutely adore this card! 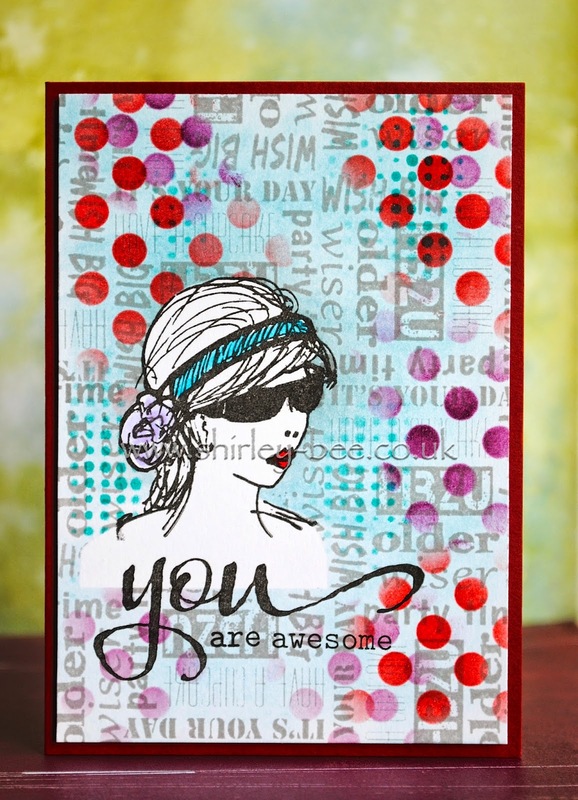 I love how you created so many layers with masking and stencils. The polka dots are fabulous and the sentiment is simple but perfect! The girl image is particularly compelling and I am so impressed that you made the stamp yourself. That is some serious artistry and she's definitely the star of the show. Thanks so much for sharing this striking creation with us here at the Simon Says Stamp Monday Challenge Blog! hi Shirley! WOW, this is a stunner...I so luv all those polka dots..FAB! So glad you played along with Simon Says Stamp Wednesday Challenge! Gorgeous! Love all those polka-dots!